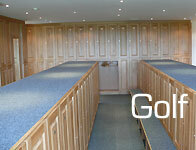 Customised wooden lockers and changing room furniture for golf clubs, health and leisure clubs, hotels, spas and schools from the UK's leading wooden locker supplier. 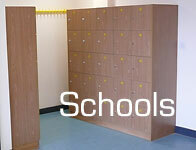 UK supplier and installer of top quality wooden lockers and a wide range of ancillary furniture in the UK and Europe. 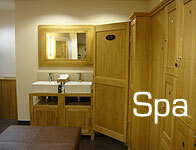 Established over 10 years ago we are as passionate now about customer service as we were then. We pride ourselves on our personal and professional approach to all jobs large and small and are happy to provide references from our many satisfied customers who have helped our business grow. We choose to operate on a low overhead so that we are able to offer the highest specification product at a very competitive price and we believe our product and quality of installation speaks for itself and our business has grown over the last decade through word of mouth references. 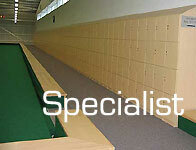 Our design team provide a free advisory service which includes computer aided drawings and images of room layouts. 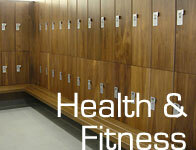 We work closely with our customers to develop cost effective solutions for them and their members.